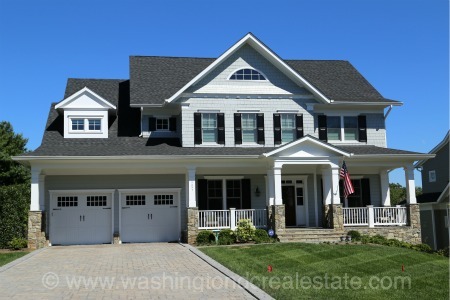 Salona Village neighborhood of single-family homes located in McLean, Virginia. The community features an eclectic mix of architectural styles including ramblers, split-levels and Colonial homes. The majority of the development of the neighborhood occurred between 1951 and 1962. In recent years developers have built many newer, larger infill homes in the Salona Village neighborhood. The Salona Village neighborhood is located in McLean off Dolly Madison Boulevard east of Chain Bridge Road. Residents enjoy the close proximity of Salona Village with Downtown McLean and its restaurants and stores. Salona Village is served by the Franklin Sherman Elementary School, Longfellow Middle School and McLean High School.